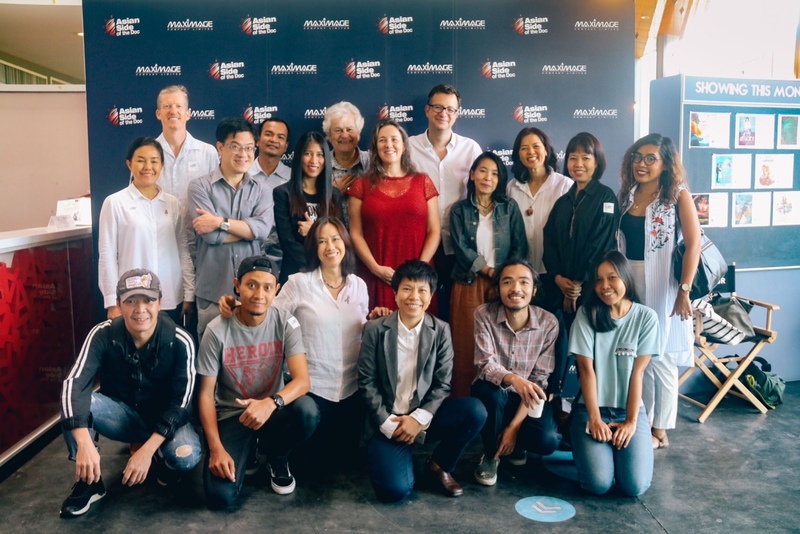 A diverse range of projects and storytellers from Thailand, Malaysia and Singapore took part in the Asian Side of the Doc project development workshop organised on September 19-22 in Bangkok, with the aim to help ASEAN producers and filmmakers get at the essence of their next documentary projects and further their work internationally. “SONG OF HOMELAND” produced by Preecha Srisuwan, InsideDoc Thailand, was awarded the Special Jury’s Prize (Free accreditation and free project submission to Asian Side of the Doc 2018). Both creative teams will join Asian Side of the Doc 2018, from 30 January to 2 February in Bangkok to meet key decision makers and potential co-producers in attendance at the annual marketplace event for factual content in Asia. We are pleased to share the following positive feedback from the Best Pitch Award winner, Thai producer Yupa Rattanajan (Payai Creation Co.,Ltd), Singapore-based director Craig McTurk (Latent Image Productions) and the incredibly supportive trainers, Esther van Messel – Producer and CEO of First Hand Films (Switzerland/Germany), Christian Popp – Producer and co-founder of YUZU Productions (France). Asian Side of the Doc workshop was an intense, exciting and amazing 4 days in the workshop. I’d learned that a story of an unknown man from an unknown place can be interesting for international markets. The trainers with different fields of expertise and experience gave me new perspective of the international doc market. They and other participants helped shaping and developing my project to a point that I had never thought of. The idea I submitted has transformed drastically in just 4 days, be it, the title, the trailer and I can see that the storytelling too will easily capture the viewers’ interest. I learned from the workshop that there is always room for stories from any part of the world. However, the content must be universal with a strong story line. I also have better idea how the international market works and pitching the project is a great way to get recognized by key people in the industry. While collaboration is essential, the trainers have also helped us to see our own potential. They encouraged and assured that, us, local documentary makers, are capable to tell local stories. My team and I are now working on details such as the treatment of the “DUCK ACADEMY” project and the plan to film the documentary as soon as possible. I highly recommend documentary makers to submit projects to this particular workshop in the future; it will help them bring their works to another level. Yupa Petcharit Rattanajan is a producer from Payai Creation.,Ltd with over 25 years of experience in the media field. She has worked as a TV journalist before turning to tell stories through documentaries and reality TV programs. Her works focus on raising awareness and educating the society about various issues such as children, culture, agriculture, environment and social. Duck Academy logline: Three thousand ducks, one farmer, and an ultimate goal to produce chemical free rice for his consumers. Against all odds, a determined Thai Farmer trained ducks as “living pesticide”. Amusing, adorable, yet serious; viewers will fall in love watching man and ducks join hands (and wings) to keep us safe from harmful chemicals. The event exceeded my expectations and gave me fresh insights – not only about my project but through seeing the evolution of the other projects during the 4-day period. The feedback of our pitching and trailers was most helpful and I value how it was done in a realistic manner. Esther, Christian and Pailin brought a lot of professional experience and engagement, which made it a very memorable event for me. Thank you for including me in the roster of producers who convened in Bangkok last week. The Asian Side of the Doc workshop ranks among the best conferences that I have attended thus far. I loved tutoring producers and filmmakers in the Bangkok workshop. The day was structured lightly but efficiently and we worked long hours, but never in a tedious way. The creativity from the participants and their openness and curiosity made hard work one true pleasure. I learned a lot about places and stories I knew nothing about, and I am tremendously grateful to have the opportunity and get to know Asia better through its aspiring filmmakers. The projects were of very good quality and carefully selected, and the cooperation with all attendees was interesting and fun at the same time. The workshop was well organised and the venue was pleasant. Thank you for having me, and I hope I can come back another time. With DUCK ACADEMY, the story trying to get told was hiding under layers of explanations and concept. In the able hands of a great team of creatives, depth and entertainment can now go together in the field. Local stories can travel when they find the subjects and the language appealing to global audiences. SONG OF HOMELAND by Preecha Srisuwan shows a great phtoography and a kind and keen eye for these children of transition that will convey the story sought to tell. Discovering eight documentary projects from ASEAN countries at the Asian Side of the Doc preparation workshop in Bangkok was a great experience and certainly the best possible door to enter and understand the realities of that part of the world. A wide range of topics and artistic approaches awaited us and have been discussed in a warm and constructive atmosphere: society, wild life, history, current affairs, arts and culture. My personal curiosity has been greatly rewarded. All projects are promising, although in different stages of développement. At the end of the workshop we were asked to choose two outstanding projects. It wasn’t an easy task. All projects evolved a lot during the four days, they are now better focused, have appealing trailers, and for some of them new titles. We have finally selected two thai projects DUCK ACADEMY, produced by Yupa Rattanajan, Payai Creation Co.,Ltd. and SONG OF HOMELAND produced by Preecha Srisuwan, InsideDoc Thailand. DUCK ACADEMY promisses to become à funny documentary with a twist. It portrays a peasant who trains an army of ducks as eco-warriors: the birds are fighting the plague in the rice fields making pesticides obsolete. SONG OF HOMELAND impressed us with beautiful images immersing the viewer into the life of burmese refugees in Thailand. Living in limbo, they fight to get thai citizenship for their children. An urgent topic, not only in Thailand but worldwide. Subscribe to Asian Side of the Doc newsletter for more updates.